We’ve had two pieces of forward looking data in the last week (in addition to the leading bits in the employment report). 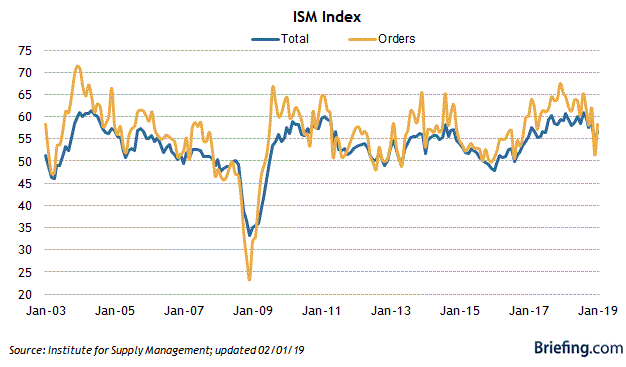 Contrary to my expectations, the most leading new orders component rebounded sharply, up to 58.2. This is closer to its “hot” readings of mid-2018 than to its tepid 51.3 in December. 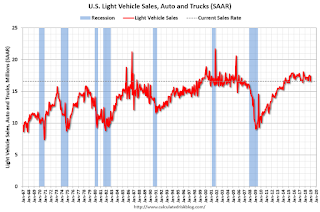 Motor vehicle sales tend to have long plateaus during expansions, before turning down in the 6 to 12 months before a recession. For me to think such a deterioration has started, I would need to see more than one month of less than 16.5 units sold. In January, 16.6 units were sold on an annualized basis. No signs of any imminent downturn in this data, even though both have backed off from their best readings. Next Will INSTEX Replace SWIFT Bank Exchange?